The design for the permanent memorial to the Isle of Barra’s Eilidh MacLeod, who died in the 2017 Manchester Arena attack, has been unveiled by the trust set up in her memory. 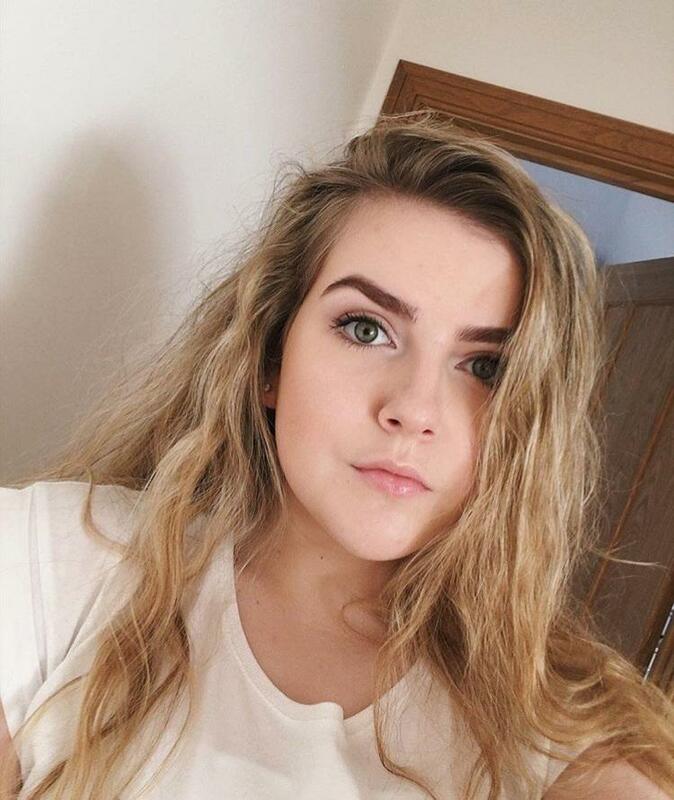 Eilidh, 14, was one of 22 people killed by a terrorist bomb following an Ariana Grande concert. Her friend Laura MacIntyre survived but was badly injured. 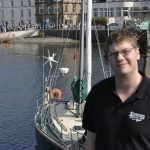 Trustees said the ‘very special’ memorial design is intended to reflect Eilidh’s love of music, particularly the bagpipes, and her willingness to support others in the island community where she grew up. Eilidh, who was immensely proud to be a member of Sgoil Lionacleit Pipe Band, loved to play her pipes at community events in Barra and Vatersay. 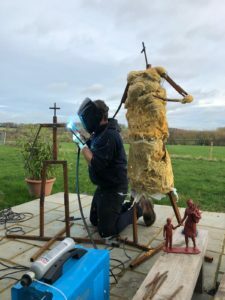 The striking sculpture, designed by Essex-based Jenna Gearing, will feature a young female bagpiper with her pipes at rest. The young woman is reaching out her hand to a young boy who is also learning to play the instrument. 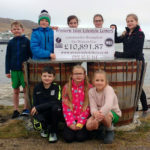 The bronze, life-size sculpture is to be located in a newly-created memorial garden overlooking Vatersay on the Isle of Barra, where Eilidh lived. Now the design has been agreed, Jenna is casting her work and is aiming to have it established on the island in 2020. 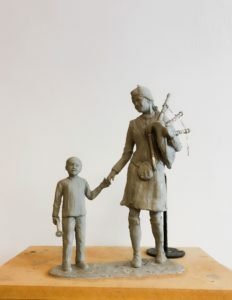 Suzanne White, founder of Eilidh’s Trust, said: ‘Our intention for the sculpture of a young female piper is to ensure Eilidh’s life and her legacy are celebrated appropriately. The design has captured her spirit and created a striking memorial to a very special young girl. 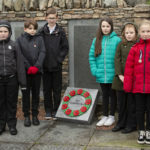 Funding for the sculpture was donated by Ardonagh Community Trust (ACT), the charitable foundation of The Ardonagh Group, of which Eilidh’s aunt, Margaret MacNeil, was an employee. Eilidh’s father Roddy said: ‘As a family, losing Eilidh in such a cruel way was truly horrific. We could never adequately thank all the individuals, the communities and Eilidh’s friends who gave us so much love and support in our time of need and indeed continue to do so, especially when they were hurting too. Jenna Gearing said she was ‘incredibly privileged’ to be part of such an important memorial.